Nothing says summer like beautiful flowers and greenhouses, or is that spring…well anyways the Kenilworth Aquatic Gardens will be in full bloom this weekend for visitors. 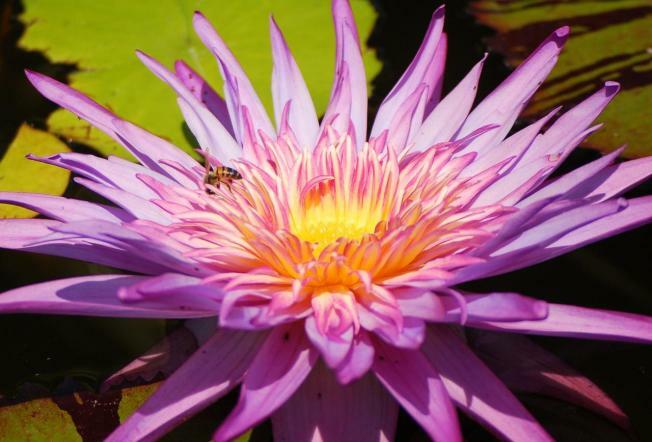 From 11 a.m. to 2 p.m., Saturday, July 21st the Gardens will hold its annual Water Lily and Founders Day Festival, celebrating some of the last of D.C.'s original marsh land. The gardens will be open from 7 a.m. to 4 p.m., timed to match the peak of the water plants' blooming. Tours will be provided. The DC Audubon will lead a bird walk through the gardens lasting approximately three hours. If you plan to attend the bird walk, RSVP's are required by leader Dhananjaya Kat. Other activities at the festival include gardening workshops and an Asian dancing performance.